I proceeded with the recipe, mixed all my ingredients in my dough bucket and let it rise on the counter, then transferred it to the fridge for a couple of hours to firm up, as per the usual. Typically, when I work with my pizza dough, I have to flour the hell out of my parchment — which I always use because I can never get the damn thing off the pizza peel. And then as I continue to stretch and roll out the dough I always have to add more flour, every roll or two, every time the dough stretches and tears a bit and exposes dough that had not yet been touched by any extra flour. It drove me crazy. 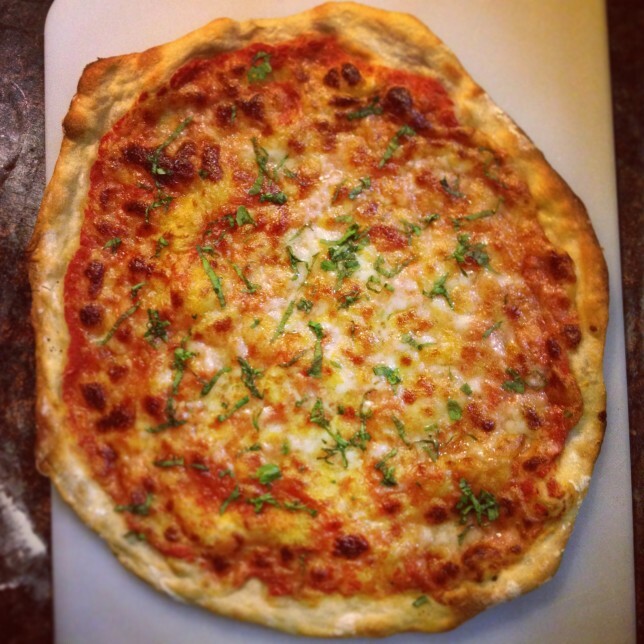 Pizza dough shouldn’t be that delicate. And the extra flour on the bottom of the crust wasn’t terribly appealing either. This time, however, my results were perfect. 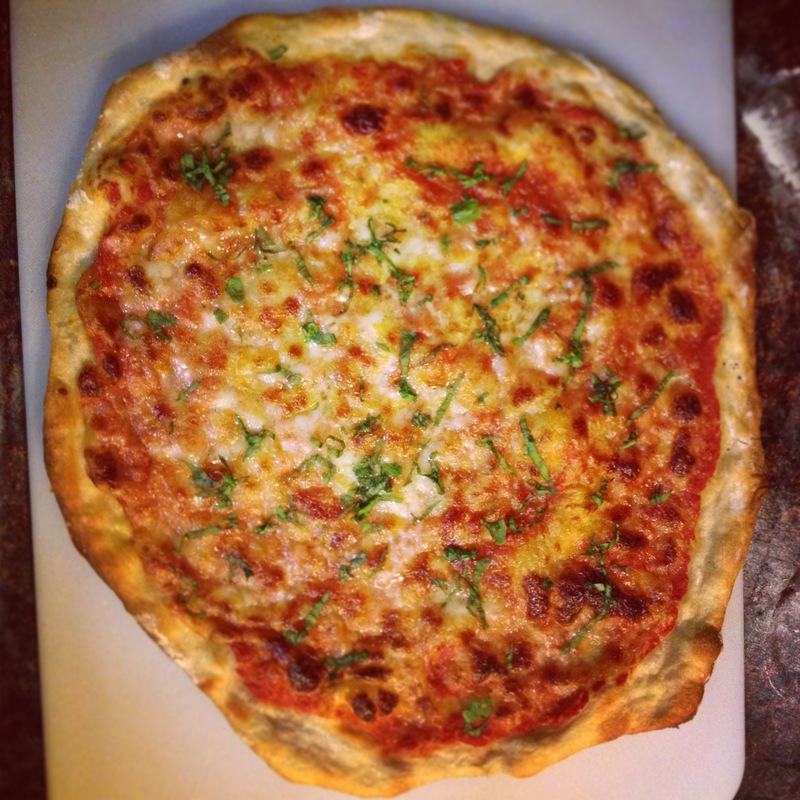 It was the best crust I had ever made. The dough was a joy to roll out — minimal extra flour required. It never tore. It barely stuck to my rolling pin and never to my hands. I probably could have even placed it right on my pizza peel after getting it to my desired diameter and thickness if I had been brave enough to do so. The bottom and edges of the crust browned beautifully. It was crunchy and flavorful and proved that the best pizza in Astoria is made in my own kitchen. So what does this mean? If you don’t have one, I highly recommend getting a digital scale for your kitchen (I use this one). 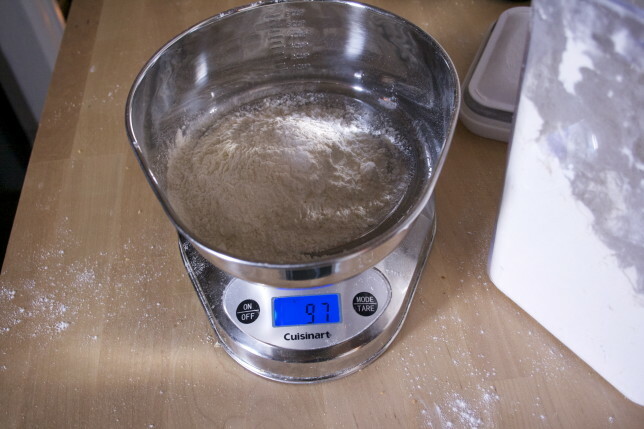 Measuring your ingredients by weight rather than by volume ensures that you have consistent results in your baked goods. It cuts out the variables: one cup, according to one recipe author, could equal a completely different amount than another, depending on how she measures it. Does she use the dip and sweep method, like Cooks Illustrated? Or does she use the spoon and level method, like King Arthur Flour? Both are pretty much authorities on baking, and so we must conclude that neither is necessarily the right way, regardless of what either says. I have always used the dip and sweep method, because it’s easier and cleaner, but if I want to make a King Arthur recipe that way, I could end up with a cookie or a doughnut with a different consistency than the author intended. But Sarah, you say, you don’t usually give us measurements by weight here on your blog — what gives? You’re right. I’m a jerk. Back when I was coming up with gluten-free recipes (which I promise, you’ll see some of soon), when measuring and combining different types of flours was absolutely imperative in order to come to a more wheat-flour-like consistency, I was finding that different authorities and recipe authors also said that all-purpose flour weighed different amounts. Is a cup 125 grams or 140 grams?? Without knowing how many grams the author intended, it wasn’t always easy to decide how much whole-grain flour, like buckwheat or brown rice, to use, versus how much starch, like potato starch or sweet rice flour. That’s all just to say that I let the fear of “what the authorities say” govern what I share with you here. But if I give you a weight, that’s it. That’s what I used to come up with these great results, regardless of whether I dipped or whether I spooned. So from here on out, I’ll try my best to give you both volume and weight. 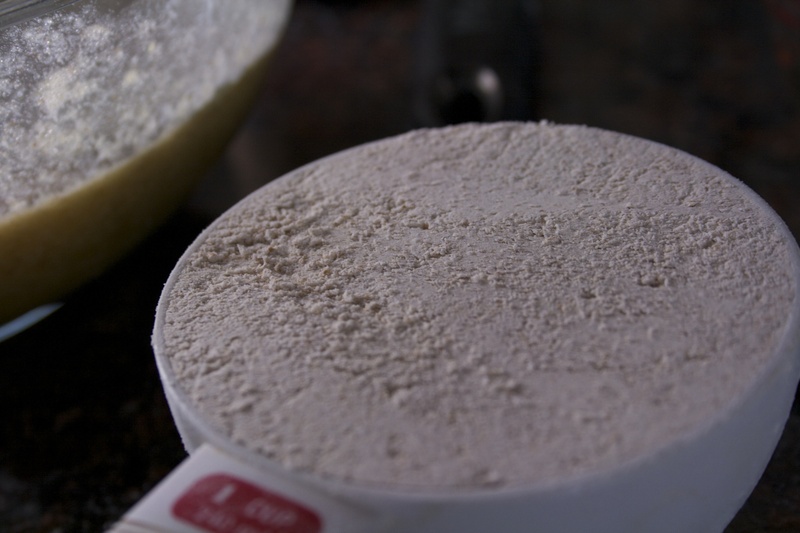 NEVER use liquid measuring cups for dry ingredients like flour. 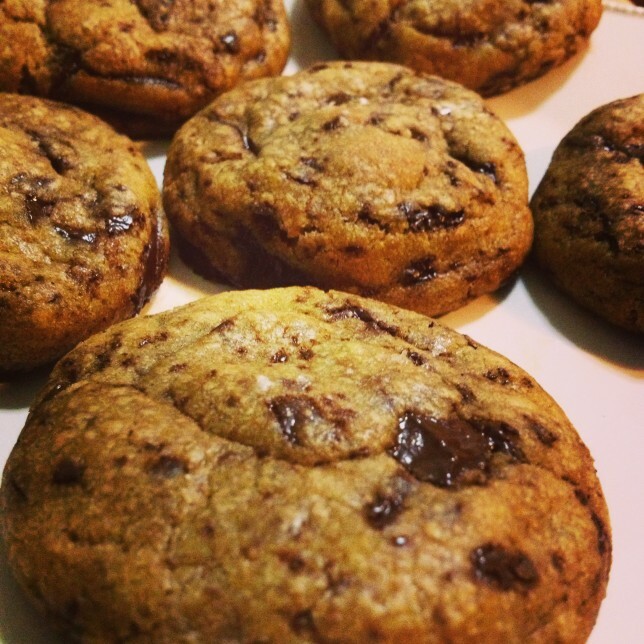 Chocolate chips or other variable ingredients? Cool. But with something like flour or even sugar it’s hard to get the top in a straight, exact line. Regardless of whether you use the dip-and-sweep or the spoon-and-level method for flour, always level the top with the flat edge of a butter knife or something else with a straight edge. Unless a recipe calls for a “heaping” something or other, you should assume that it should be a level measurement. Same goes for measuring smaller ingredients like baking powder or soda with measuring spoons. Always level those the best you can. Use liquid measuring cups for liquid ingredients if you can. There’s probably an actual science behind it but frankly it’s just neater than pouring buttermilk up to the very top of a dry measuring cup and fooling yourself into thinking that you’re not going to spill some when you lift it from the counter to pour into your bowl. And you never know — that drop or two could have made a difference. And if you’re measuring liquid ingredients in a liquid measuring cup, make sure you check the line at eye level. Looking from too high above will give you a false measurement. 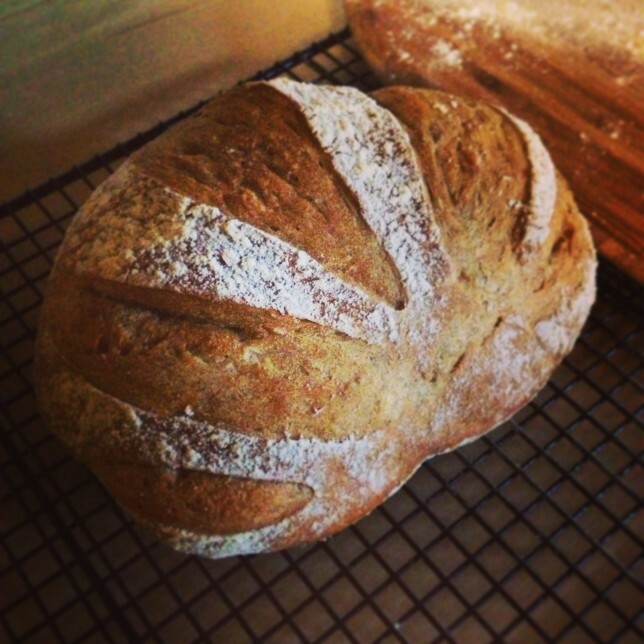 The bottom line is this: when you bake, especially when you bake something like pastries or bread, you should think of your finished product like a body. If something is off — say, not enough vitamin D, not enough insulin — your body won’t exactly work the way it should, will it? Neither will that loaf of bread. 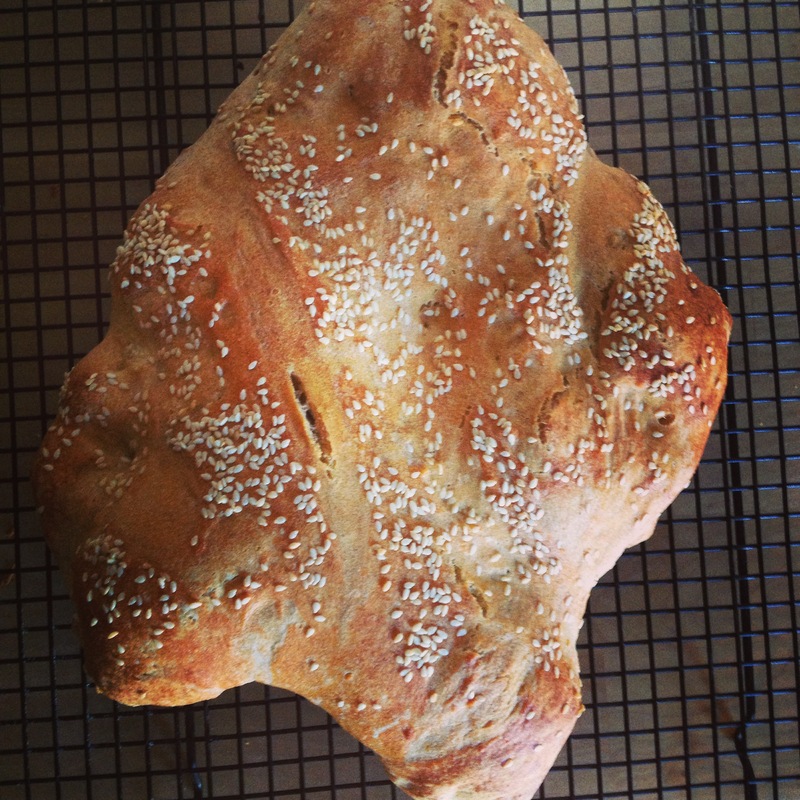 Granted the bread doesn’t need to be mobile and think for itself, but too much or too little of even just one ingredient will throw the whole thing off. And not just that it won’t rise right, won’t slide from your baking peel — too much baking soda, for example, and your muffins or scones will taste soapy. And no one wants to eat soap. Measuring your ingredients properly takes a lot of the guesswork — and stress — out of baking. 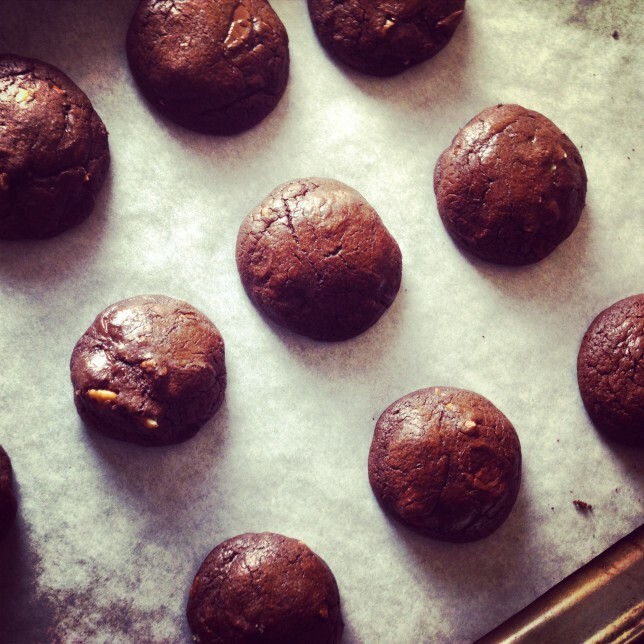 Remember, baking is a science — it’s chemistry. Take care to be as precise as possible and instead of blowing up the lab, making a mess, or just sweating buckets because you’re struggling to release a ball of wet, sticky dough onto a burning hot baking stone, you can just relax and enjoy your beautiful creation. Super fun additional tip: making sure your thermometer is calibrated is also important. Learn more here.